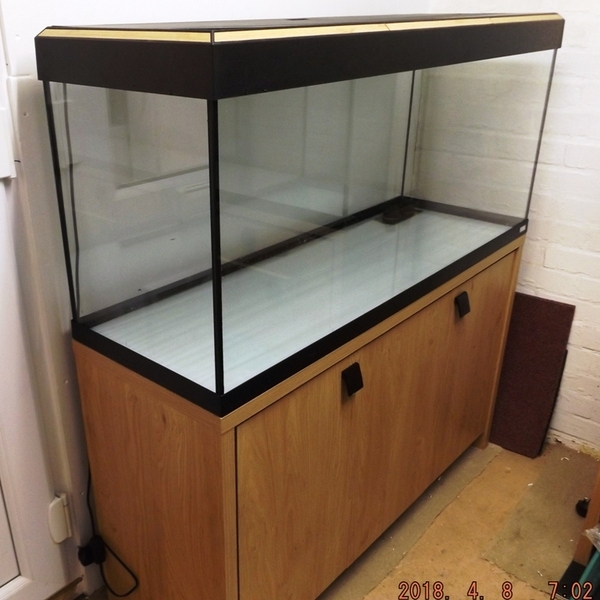 This Fluval aquarium / cabinet stand (light oak effect)- only a 2-3 years old. Comes with hood lights that work, manuals, etc. Spent most of its time empty, but now due to house move, I need to sell it. The tank does NOT have the Fluval (306) external filter present – I have used this on another project. However the external filter is the only thing absent – the piping leading from the tank outlets under the bottom of the tank, including the aqua-stop valve unit that clips into the top of Fluval filters is all present and correct. Collection from Wolverhampton – which will require a small van. Note – the cabinet / stand is already put together.